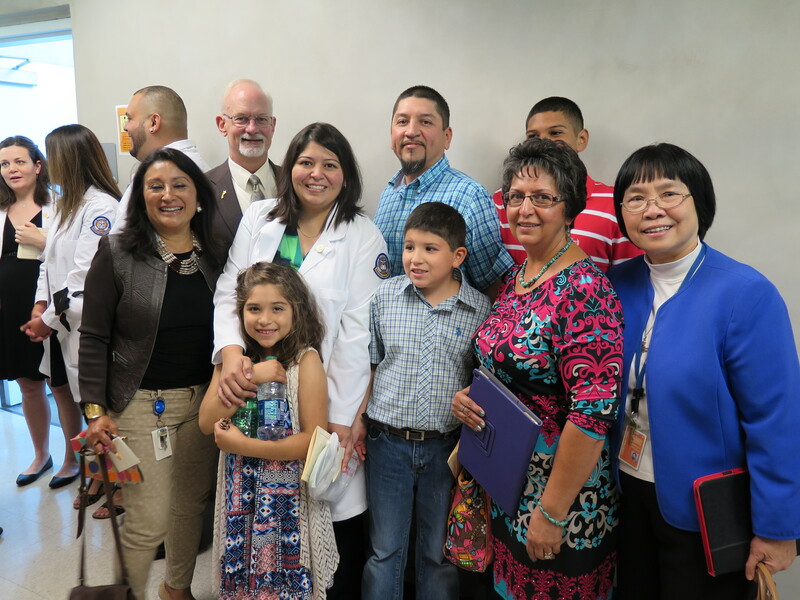 Hello, my name is Amy Lopez-Escobedo, and I am a proud Capital IDEA graduate, mother of three, and Registered Nurse at CommUnity Care. I always felt destined to become a nurse. Since I was little, my mom noted I had a caring nature and would try to help people when they weren’t well. Knowing my destiny, I enrolled in nursing school right after high school, but only lasted a semester before life happened and the years went by. When I had my children, the nurses that helped with deliveries were superstars, and again I knew I wanted to be a nurse one day. Then my middle child who has medical conditions had us in and out of the hospital and again I saw some amazing nurses not only help him as a patient, but us as parents. That inner calling grew stronger. I found out about Capital IDEA through my husband’s coworker who was in the program. We attended an information session in August of 2011 and I took my first real step toward my future since leaving nursing school all those years ago. 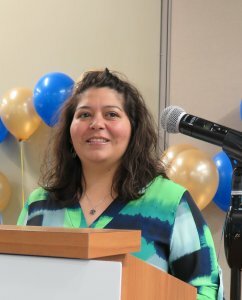 I was accepted as part of a cohort of six nursing students supported by the federal Medicaid 1115 Waiver DSRIP program, administered locally by Central Health and the City of Austin. With the support I needed in place, I was on my way. I worked hard, made good grades, and gained the skills I would need to be a successful student and a nurse—which I loved! However, life continued to intervene and somewhere around December 2015, things got really hairy. I ended up with pneumonia in the hospital for three days right before finals. I studied in my hospital bed and even more when I returned home. Despite doctors’ orders, I took and passed my finals, but because of how hard I’d pushed myself, the pneumonia lingered for six weeks, followed by bronchitis. Coming up on my final semester, I wasn’t sure if I would survive my last clinical rotation! Just when I started to recover, my extended family suddenly needed me: two family members ended up in the ICU, my cousin passed away followed a few weeks later by my father-in-law, bringing on more heartache while I tried to study for exams and make time to travel to Mexico for the funeral. I had to be there for my family to grieve with them yet stay emotionally together enough to perform at school and in clinicals. The added struggles impacted my grades and threatened to delay my graduation, but because of the tremendous support around me, I pushed through and I made it to the end! Thanks first and foremost to God, through and with Him, all things are possible, along with my amazing counselor Suzanne, my awesome professors, the student health sciences counselor, my WIOA counselor and, of course, my backbone: my husband Roman, my kids Ruben, Roman Jade and Ava, and all my extended family – you gave me the support and guidance that I needed to complete the roughest semester of my life! Now that I have finished, it’s my husband’s turn to complete his degree. Our three children are already considering their college options, and I’ve got my sights set on a BSN with a long-term goal of become a Nurse Practitioner…the sky’s the limit! I was thrilled to be the first of my graduating class to be hired – I started as a Registered Nurse soon as I had my degree. I am also deeply honored to represent the milestone 1,300th Capital IDEA graduate! The impact that Capital IDEA has had on my life and the lives of my fellow RN students is almost impossible to describe but thanks to Capital IDEA and Central Health, I have my dream job, financial security, and the ability to plan for a future I could not have otherwise imagined.